The two-year courses are designed to help you develop advanced knowledge and skills appropriate for a career in the respective industry or sector. In addition, it provides individuals with the academic and critical thinking skills required at higher education level. The HND course comprises 240 credits, of which 120 are completed at Level 4 (HNC) and 120 at Level 5 (HND). On successful completion of two years, your final award will be an HND. 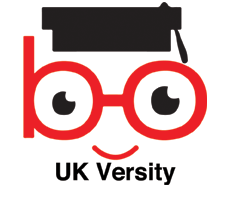 Additionally, learners can progress to a third year BA or BSc (Hons) related degree course at any UK University. *This is subject to the level of the course you have selected and will be explicitly stated in the details of the course you have applied for. Teaching will take a variety of forms. The majority of the course will be lecturing and taught webinar sessions or other monitored activities that contribute to learning and assessment. Upon successful completion of Pearson BTEC Diploma qualifications, learners will be eligible to gain entry into the final year top-up for BA/ BSc Degree in any UK University. Course material, including presentations, handouts, assignment briefs, and e-books are made available to enrolled learners. In addition to this, the learners also get the course handbook and tutorial via emails to support the learning. *The fee includes registration, assessment, teaching, and certification. There is no other hidden cost.